Click Here. The Ranch and adjacent permits on the Pike National Forest, BLM, and State Wildlife Areas are in game management units 50, 500, and 501. These are limited license trophy draw units for deer, elk, antelope and black bear. This combination of private land and limited draw provides the very best opportunity for bagging trophy animals. Click Here. 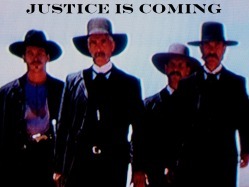 The objectives of the Colorado United States Marshals Posse shall be to cooperate with the United States Marshals Service in rendering such non-law enforcement assistance to them as may be required when called upon. The Posse represents and publicizes the United States Marshals Service in a western tradition, and may participate in local parades and appear at private and public events and ceremonies. The members promote good horsemanship and fellowship among themselves and the public at large. Come watch as the Arctic Cat Outdoors team, including Host - Keith Dailey and Co-Host - Hoss Port hunt big game across the country. We travel to private properties, land for sale, with hunting clubs and just about to every nook of North America and abroad looking to help our fellow hunters. 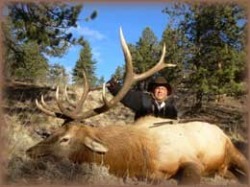 Plus, we take the annual trips for Elk, African Game, Bear, Moose, Antelope and more. Were doing whatever it takes to make the best out of the properties we're on! Check out the show on Direct TV Pursuit Channel 608 or on Dish Network Pursuit Channel coming in 2011. Click here to go to their website. This is a website for Vintage Camper Enthusiasts!